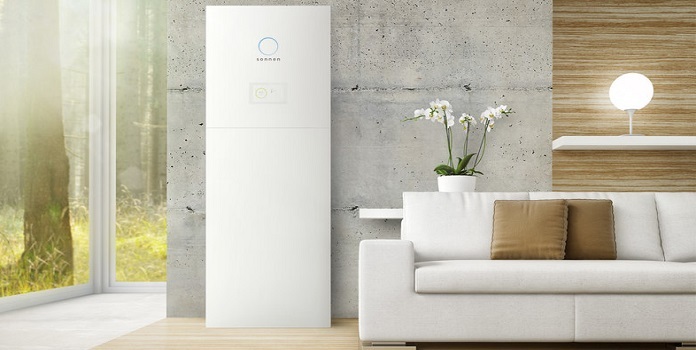 Batteries add reliability to your solar system, but how much will that peace of mind cost you? We live in the golden age of battery technology. Thanks to the proliferation of electric vehicles and the resulting push in battery R&D, we’ve come a long way in durability and capacity over the last 15 years. But with all this development, have solar battery prices come down enough to make it worthwhile for most people going solar? If you’re looking to add some batteries to your solar installation, you’ve got more options than ever before: a host of different lead-acid batteries, several different kinds of lithium batteries, and even nickel iron batteries (a promising, though quite old option which most of us haven’t even heard of yet). 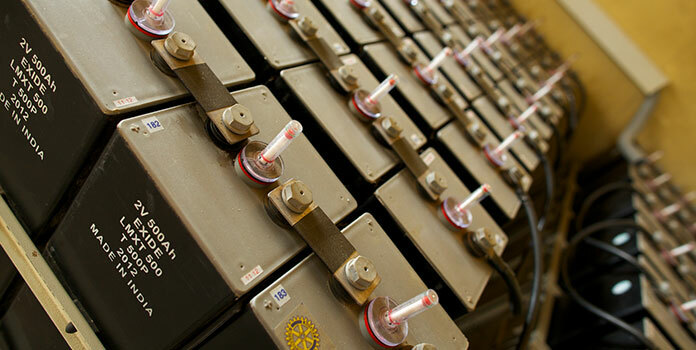 When choosing your battery, it’s key to strike a balance between capacity, quality, and cost. And, solar battery prices can be quite tricky to calculate. You can’t just look at the sticker price, you must compare prices based on how much electricity they’ll store over their entire lifespan. And with some batteries lasting 4 to 5 times longer than others, lifespan plays a huge role in a battery’s cost-effectiveness. Sound confusing? Well, hang on and we’ll figure it out together. 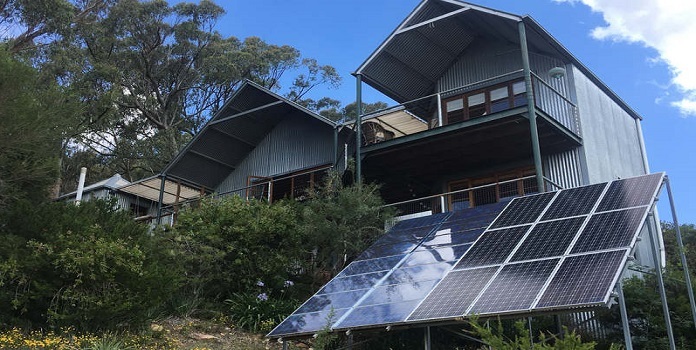 If you’ve done some research already, you’ve probably noticed that prices for solar batteries run the gamut from a hundred bucks or so to thousands of dollars for a single battery. There are so many different types of batteries (and sizes) used for storing solar energy – all with their own prices – that it can be quite hard to figure out exactly where to even begin. Let’s run through a few of the most popular options. 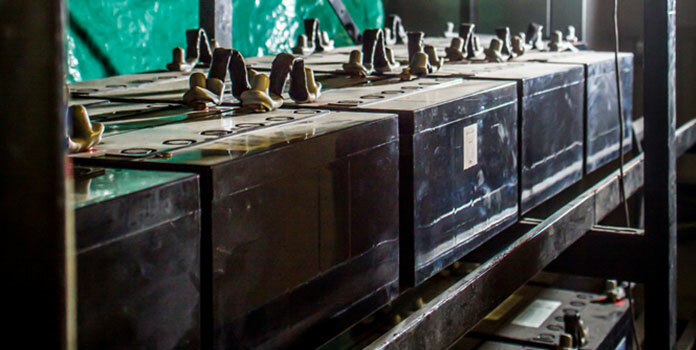 We use lead-acid batteries every day to start our cars, but lead-acid batteries for solar storage are typically deep-cycle batteries, quite different from our car starter batteries. Instead of providing a huge surge of electricity to start a vehicle (like starter batteries), deep-cycle batteries are designed to dish out smaller, continuous amounts of electricity like you would need to run your life. Deep-cycle batteries are designed to allow greater Depth of Discharge (DoD), which is the total amount of your battery’s capacity that you can regularly use, than your typical car battery. Most manufacturers and battery experts recommend only discharging your deep-cycle battery to about 40% to 50% of its full capacity (meaning you only use about 40% to 50% of your battery’s total storage capacity at any time). Car batteries, on the other hand, should only be discharged less than 10%! Dedicated energy storage batteries, as well as cheaper golf cart batteries, are the most popular options for solar storage, as their plates inside are beefier than a starter battery for a car or marine batteries. They can handle higher DoD and they last longer. Crown CR220 Golf Cart Battery: A tried-and-true deep-cycle battery specifically designed for golf carts, these batteries are cheap and reliable, but at their low price they simply don’t last as long as others on our list. Trojan T-105RE: A popular battery for renewable projects, the Trojan T-105RE is based on their popular T-105, a 6 volt golf cart battery. Reliable and trusted. Rolls S-480: Rolls is a well-respected brand in the energy storage department and manufacturers batteries for larger solar installations. Their S-480 is a deep-cycle, 6 volt battery specifically designed for energy storage. Looking at the batteries above, you can see they cost between $100 to $350, or $0.50 to $0.92 per Ah of capacity, with prices increasing with size and brand. Of course, these prices don’t take into account each batteries’ DoD and number of cycles, which you can see are quite varied. We’ll add those numbers in, but first, let’s take a look at lithium batteries. First off, the term ‘lithium batteries’ is somewhat of a misnomer, as there are several different battery technologies out there under the ‘lithium-ion’ banner. While all these batteries are called lithium-ion, Tesla’s Powerwall uses powerful lithium-nickel-manganese-cobalt (aka NMC) batteries, but many other energy storage manufacturers (including SimpliPHI below) are using the more stable lithium-iron-phosphate for solar batteries. SimpliPHI 102Ah Battery: SimpliPHI is a big player in the lithium battery world, producing lithium-iron-phosphate (LiFePO) batteries that users can discharge down to an incredible 100% DoD, though only discharging to 80% doubles the battery’s life. However, comparing the Cost per Ah of Capacity, you’ll see the SimpliPHI battery costs a jaw-dropping $15/Ah, compared to Crown battery’s $0.52/Ah above. Smart Battery Lithium Ion Battery: While not well known, Smart Battery manufacturers LiFePO batteries like SimpliPHI above. Their 200AH battery comes in at $12/Ah of capacity, with a 5 year replacement warranty and lifetime prorated warranty – not bad. However, their cycle life is only 20% of the SimpliPhi battery above, even though they’re both based on the same underlying battery technology. So, if you go with lithium batteries for your solar backup, you can see that you’ll be spending over $1k more per battery – quite a premium! With their longer lifespan and greater Depth of Discharge, are they more cost-effective than lead-acid batteries it in the long run? Let’s find out. After looking at the prices above, you’re probably thinking that there’s no way that lithium batteries can hold their own against lead-acid. But, as we’ve seen, lithium batteries have an ace up their sleeve. Actually, two aces. First, lithium batteries see a much higher Depth of Discharge than lead acid. Users can discharge lithium batteries to 80% to 100% DoD – compared to a measly 40% to 50% for lead-acid batteries. How is this possible? 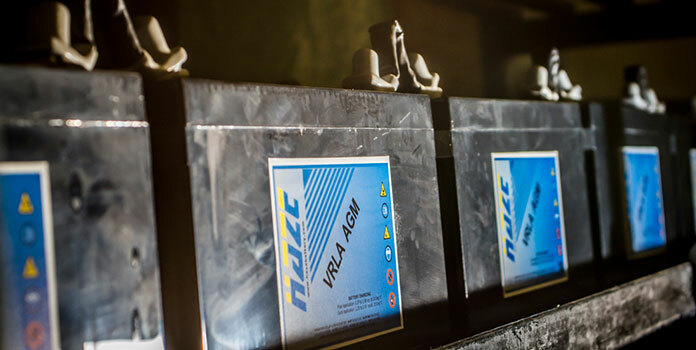 It’s in the name: lead-acid batteries produce electricity through a chemical reaction between lead and caustic acid. All that acid slowly wreaks havoc on the battery. The more you discharge, the faster that happens. Obviously, you could discharge your lead-acid battery down to 80%, but you’d quickly need a replacement. Similarly, if you only ever used 10% of the battery’s capacity, it would last a long time, but you’d need a lot of batteries! When calculating the total cost of your batteries, this higher DoD is huge, as you’ll need less batteries to provide the same amount of electricity. Secondly, the life cycle of lithium batteries is typically about 5x longer than lead-acid batteries. At 50% DoD, decent lead-acid batteries last around 1200 to 1700 cycles. The SimpliPHI lithium battery above, on the other hand, lasts an incredible 10,000 cycles at 80% DoD. In essence, with lithium batteries you get more electricity for a longer period of time. That’s the power of lithium. You can see that the SimpliPhi batteries, even though they’re about 3x more expensive than the lead-acid batteries, come out about equal in price thanks to their ultra-long life span. Pretty incredible when you consider just how much more they cost! The Rolls battery, with its superior warranty and ‘premium’ status, comes in pretty high, but the real kicker is the Smart Battery. Although it’s the most expensive battery on the list, their cycle life is just a 1/5 of the SimpliPhi battery, making the total lifetime cost far higher than any of the others. So does this mean you should go out and buy lithium-iron-phosphate batteries for your solar installation? After all, they’re a great deal, right? Well, yes and no. If you’re buying batteries for a project you’re going to use long-term and you’re already experienced in battery maintenance, lithium batteries might be a good investment – especially if the heavier weight of lead-acid batteries is an issue (in an RV, for example, or if you need to lug your batteries up to an off-grid cabin). If this is your first foray into battery storage, chances are high you’re going to make some mistakes at the beginning. Exposure to extreme temperatures, over- or undercharging, improper sizing, and poor maintenance can all cut your battery’s lifespan like a hot knife through butter. Tales abound of off-griders and RVers installing expensive batteries, only to unknowingly ruin them in just a couple years through improper use or maintenance. If you feel like this could easily be your own fate, perhaps it’s better to buy some cheaper batteries at the beginning while learning the ropes, then upgrade a few years down the line. Of course, this brings up an important point we haven’t talked about yet: warranty. Warranties should play an important role in your decision making. If a battery manufacturer promises 6,000 cycles @ 50% DoD on their lead-acid battery (unheard of), but only warranties their batteries for 2 years, they probably don’t have a lot of faith in their own product. Be sure to do your homework before making any decisions. We hope you found this overview of solar battery prices helpful! If you have any follow-up questions, don’t hesitate to ask in the comments below! If you’re interested in installing solar on your home, reach out to a few installers to see what options are available.